Jar with Rubber Seal, Bi Carb Soda, Tissue, Vinegar. Put vinegar in the jar. Put bi carb soda in the tissue. Twist the tissue up. Drop in the jar. Wait for the lid to pop! Tay brought a science experiment for morning meeting. 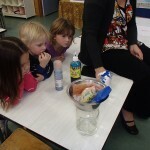 He used Bi Carb Soda and vinegar in a jar to create gas and make the lid pop off. We all laughed! 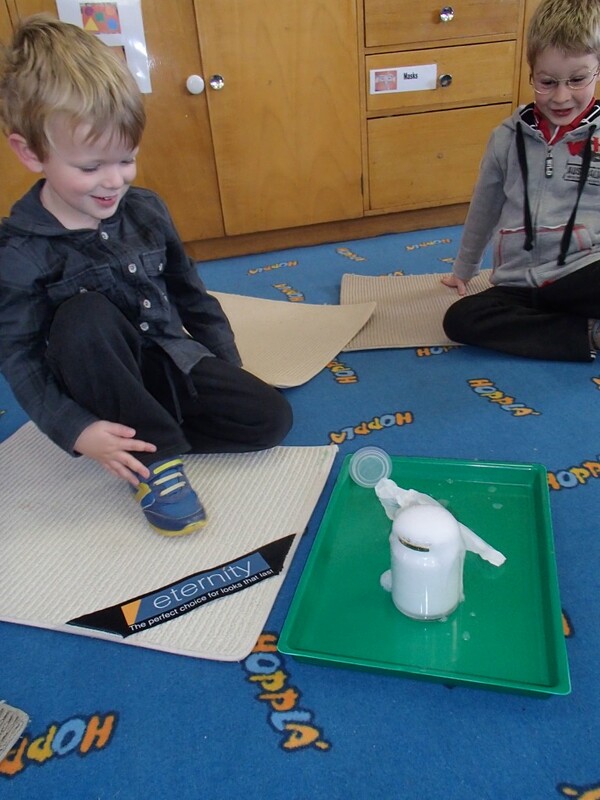 We tried two other experiments involving gas. 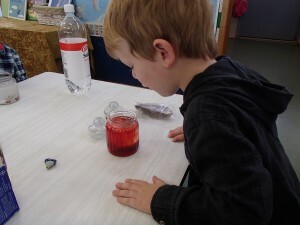 We made a lava lamp and we made sultanas dance. We tried to make the grapes dance but they must have been too heavy because they just moved a little bit. 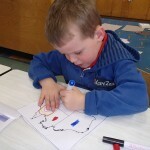 The experiments are captioned with the photos if you want to try them at home. Put food colouring and water in the bottom of a clear jar. Carefully top up the jar with oil. 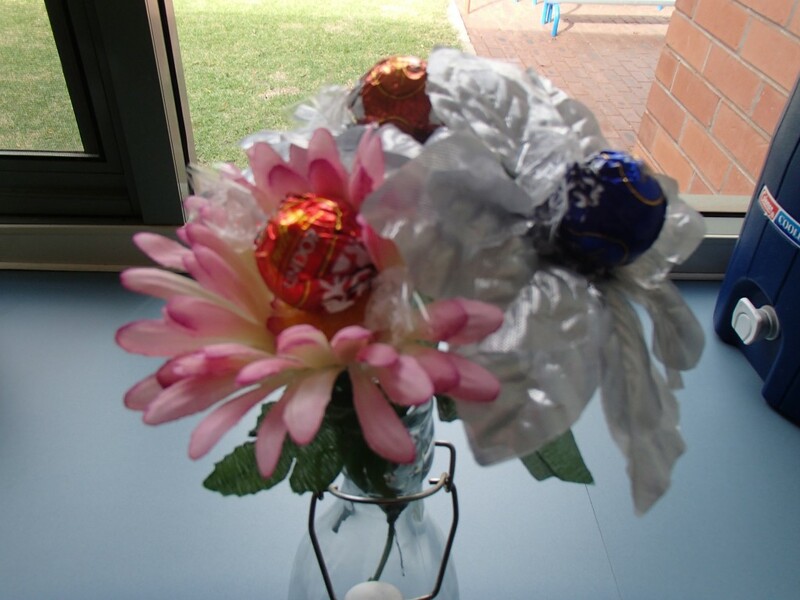 Break an Alka-Seltzer tablet into four pieces and add to the jar. Watch the bubbles of gas rise. 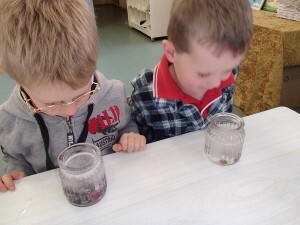 Fill a clear jar with Soda Water, drop in sultanas. Watch the bubbles collect around the sultanas and then they will gradually rise to the top and fall down again. 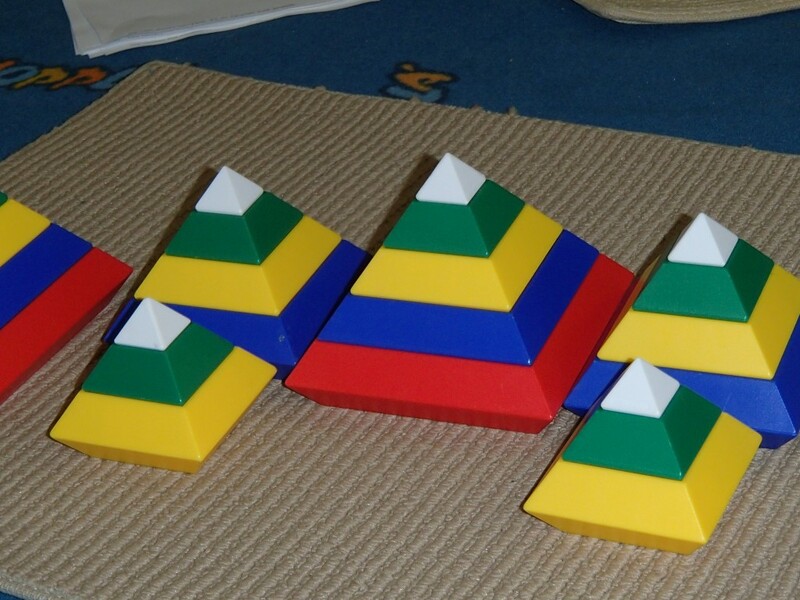 This week we have been talking about the pyramids of Egypt after one of the children made pyramids with the WEDGIT blocks. 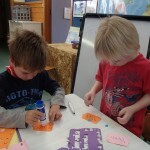 I showed the children pictures of the pyramids of Giza in a book and from google. We talked about how ancient Egyptians made pyramids to bury their dead pharaohs (kings). We discussed how the kings were wrapped in bandages and they are then called ‘mummies’. We bury our dead in boxes called coffins in a hole in the ground. The pharaohs were buried with furniture, jewels and gold. The pyramids had booby traps and mazes inside to stop the tomb robbers. You children might be asking some strange questions this week! 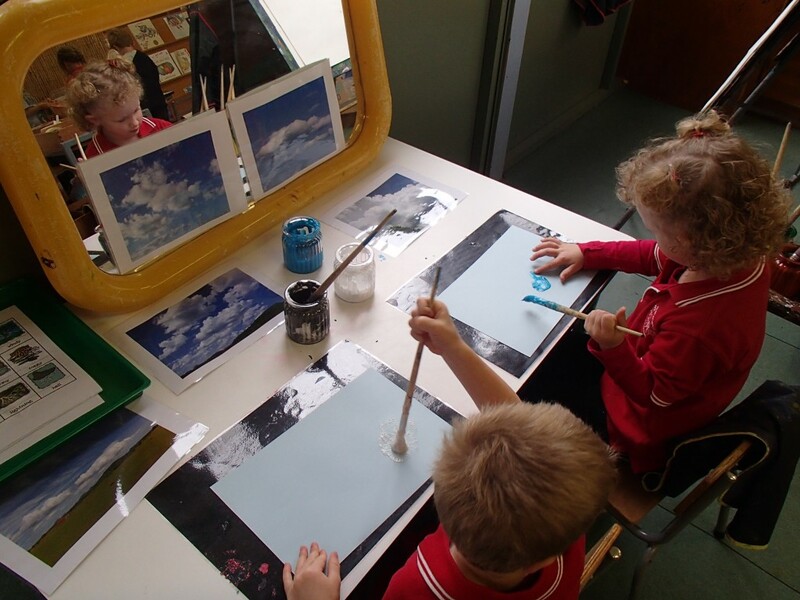 We have become expert cloud watchers at Pre School last week. 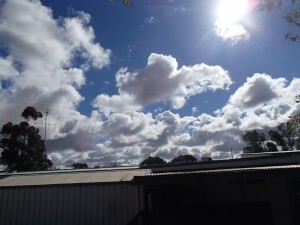 Unfortunately they were the wrong sort of clouds (ie not rain clouds!). The clouds were white and fluffy and when we layed down on the mats we could see them moving and we could see pictures in the clouds. 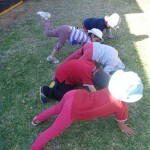 Several keen photographers took these photos during outside time. 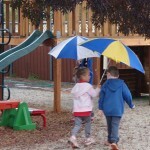 And today it finally rained while we were at Pre School. 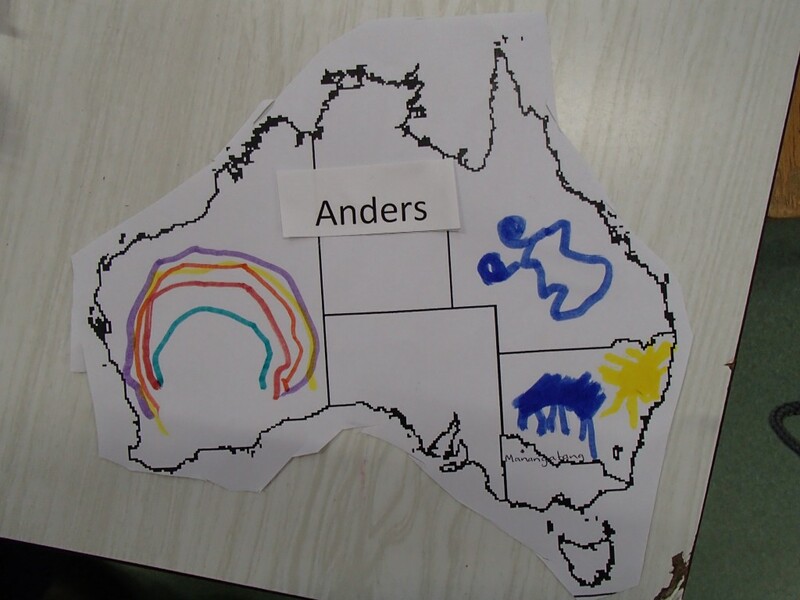 Anders and Chelsea were organised. 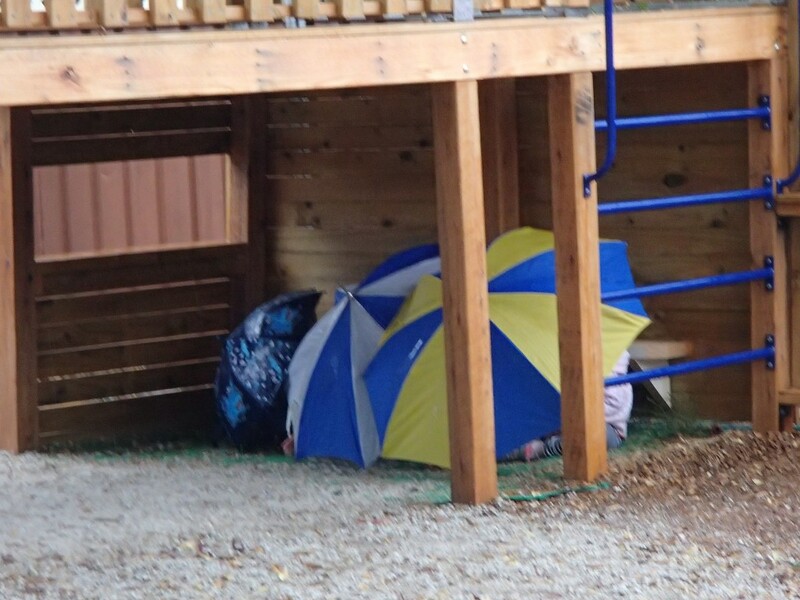 They brought their umbrellas! 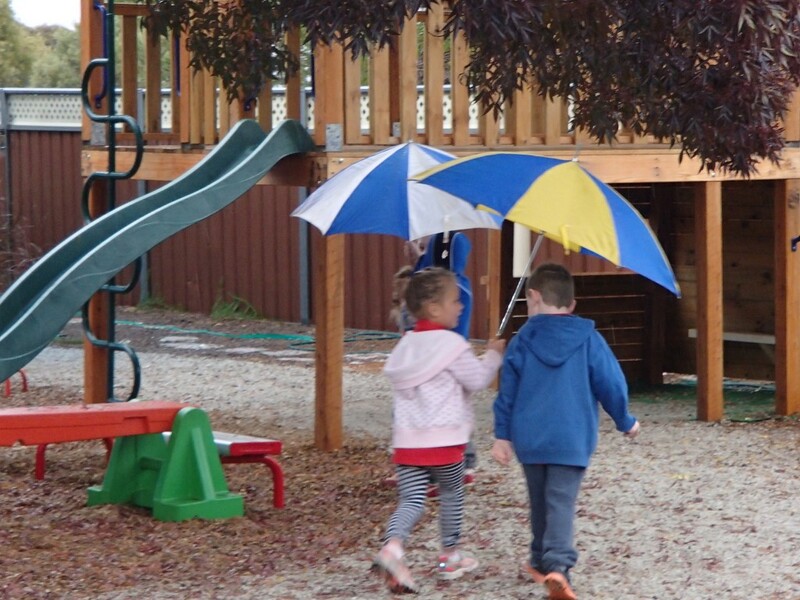 We went outside and walked in the rain. 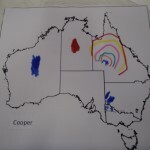 Mrs Grant told us that people who tell us about the weather are called meterologists. 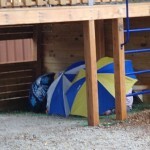 They use tools like a rain gauge and a thermometer to help them. 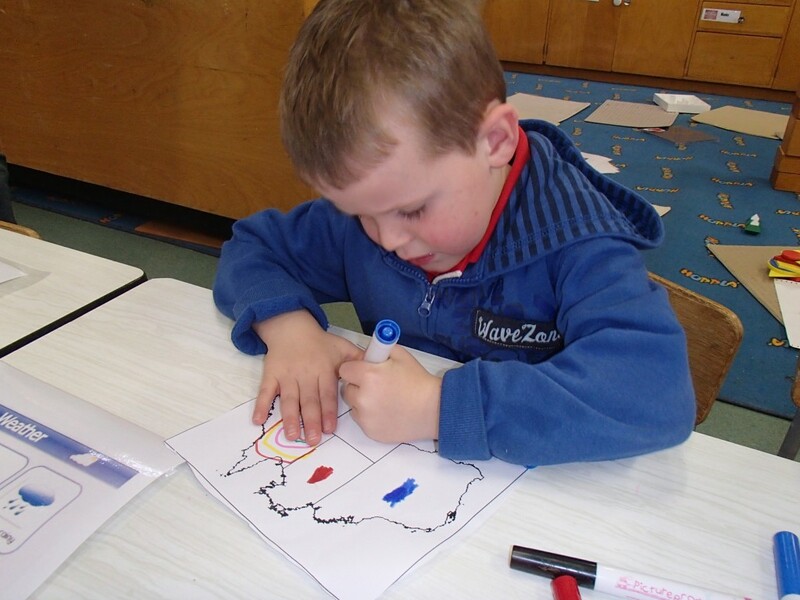 Meterologists use symbols to tells us about the weather on maps. We could recognise most of the symbols. 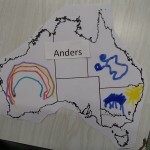 We had a go at making our our own weather map of Australia using some symbols. 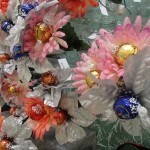 I hope everyone enjoyed Mother’s Day on Sunday. 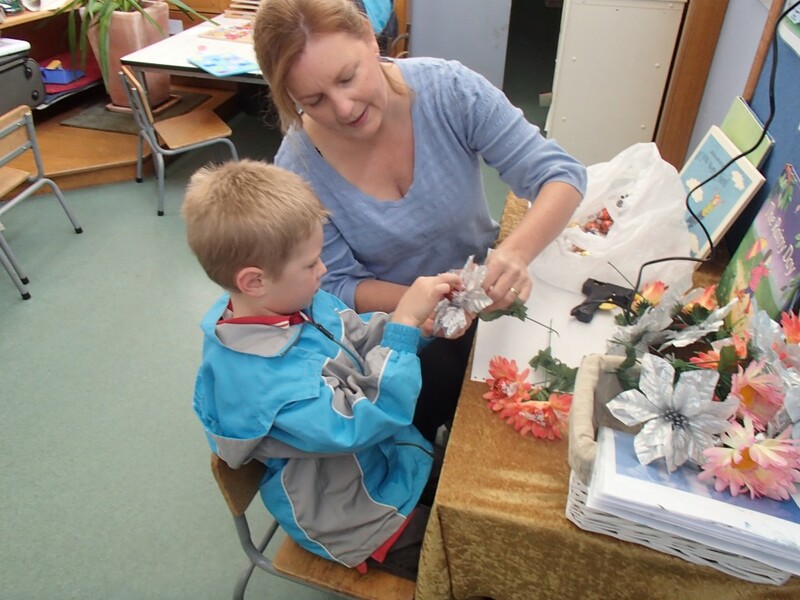 We had fun making our posies and cards to give to our Mum’s. We did a special painting to wrap our presents in. 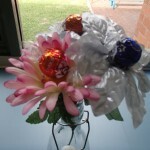 The best part was deciding where to hide them so that Mum’s wouldn’t find them before Sunday! 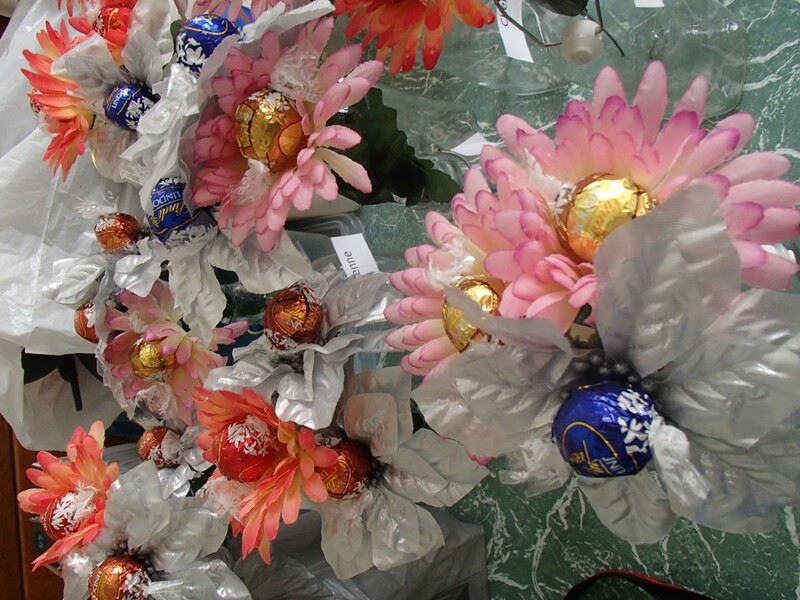 It is important to take time to thank people who help us. 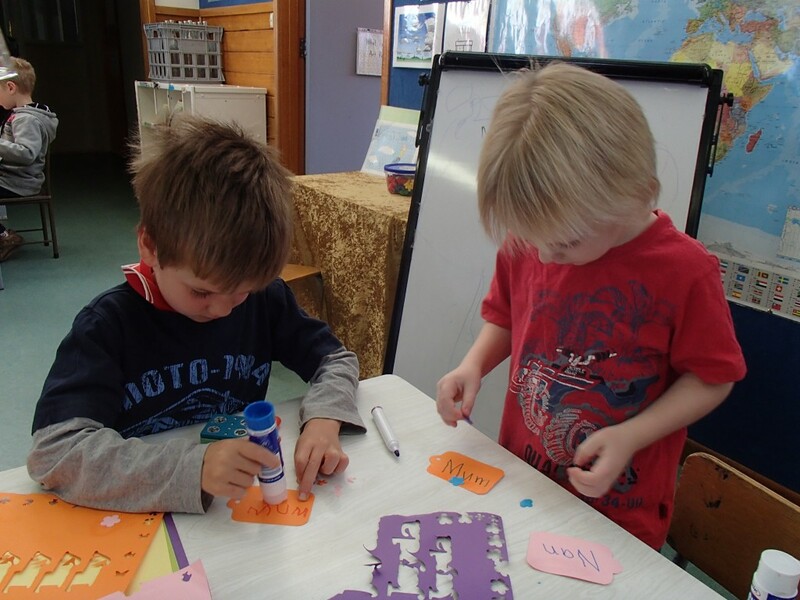 Learning to recognise and appreciate things others do for us is an important social skill. We played tunnel ball today. 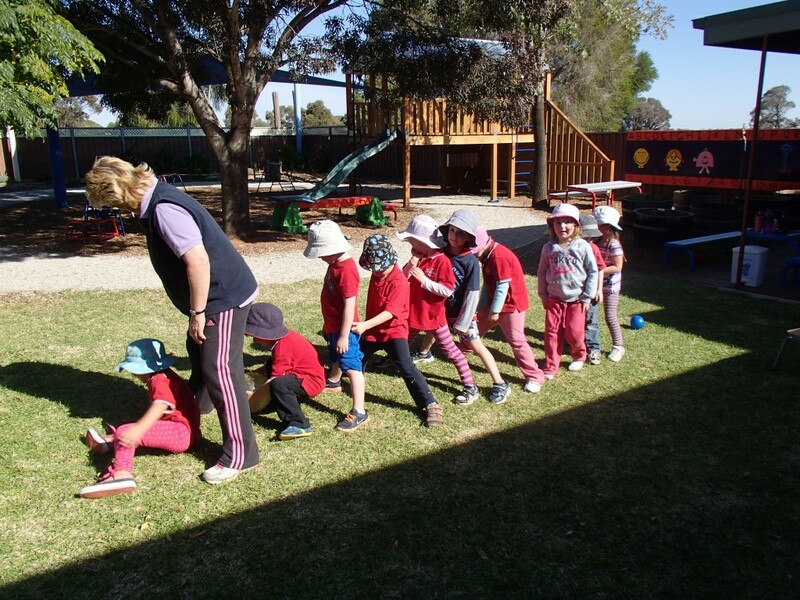 We discovered that there are two ways that we can make a tunnel with our bodies. 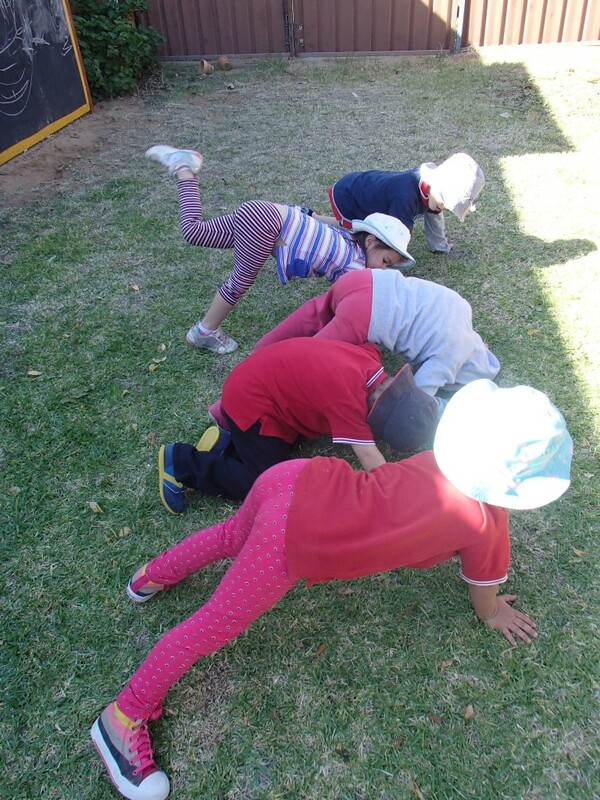 First we balanced on our hands and feet. This gets a bit tiring after a while. Then we stood with our feet wide a part. 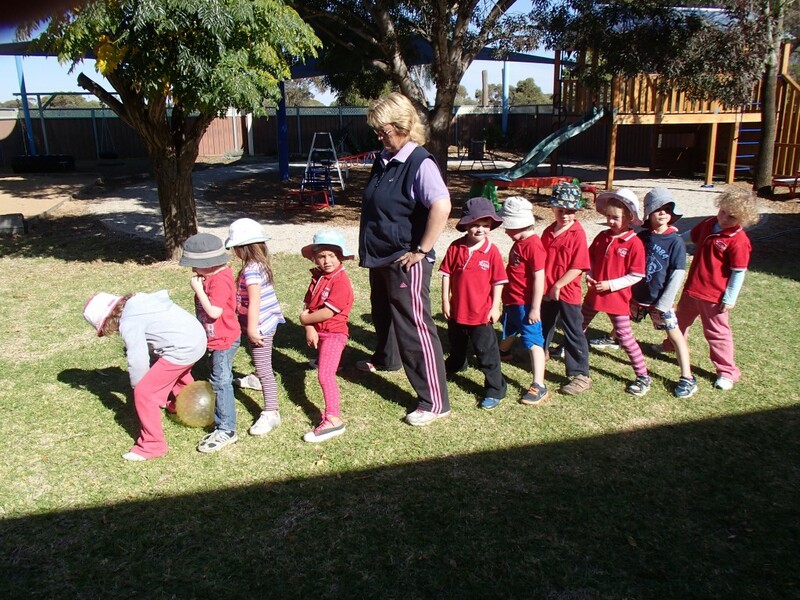 It was a challenge to get the ball through the tunnel without stopping. We needed to get into two groups. One group to do the game and one group to watch so that we could work out why the ball was stopping. 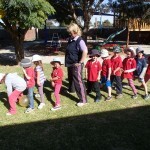 Like all the farming families in the district, the Pre School children are anxiously watching the sky for signs of rain. 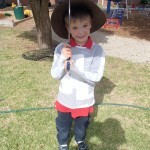 Anders brought his umbrella to Pre School last week because he was sure they were rain clouds. 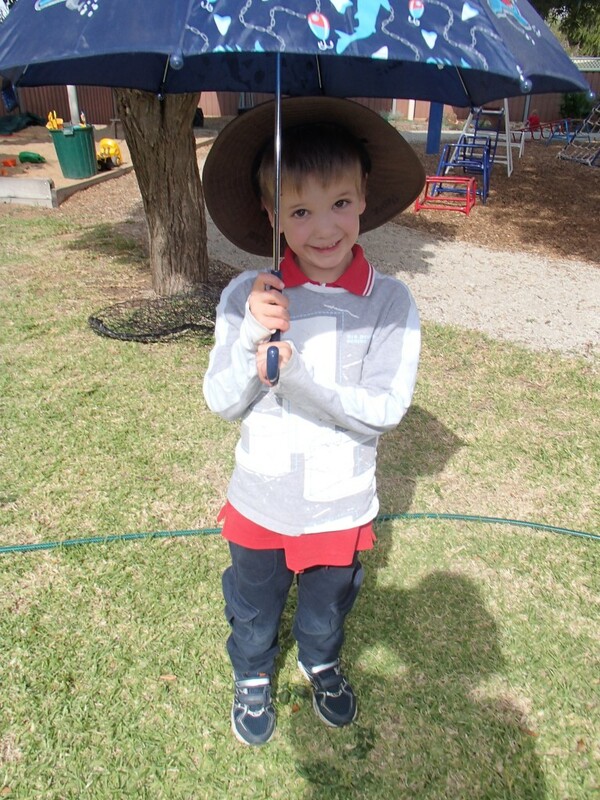 After discussing this with Anders, Lachlan came up to me and said, “Excuse me Mrs Grant, but you should have asked me about the clouds because I am the rainman.” Lachlan told me that the grey clouds were the rain clouds. We did two experiments. 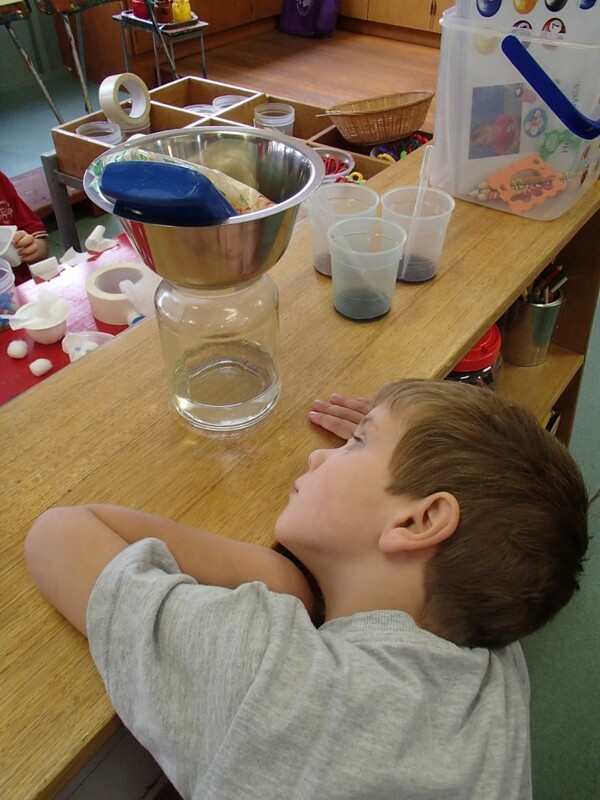 In the first one we put boiling water in the bottom of a jar and then put a metal bowl of ice on the top and watched the drops form on the bottom of the dish and fall into the water. 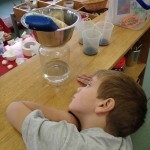 The second experiment shows how rain falls when the clouds get really heavy. 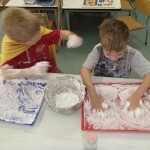 We put cold water in a jar and shaving foam on top. 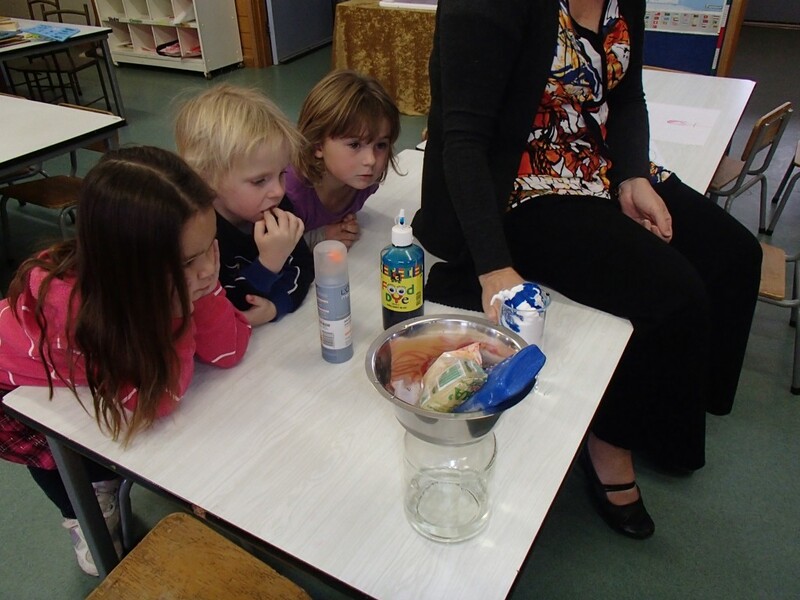 Then we poured blue food dye onto the cloud of shaving foam and watched the blue rain come down. 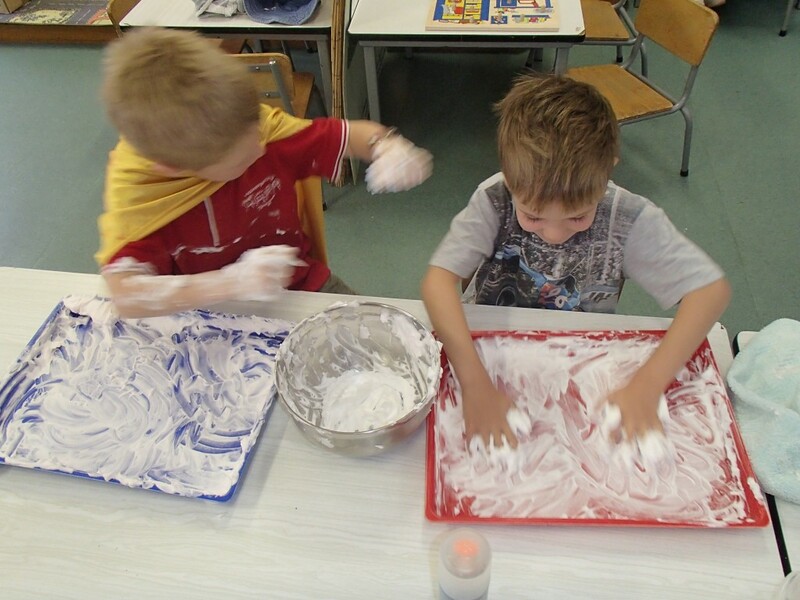 We have played with shaving foam, painted clouds and enjoyed the Eric Carle book ‘Little Cloud’. 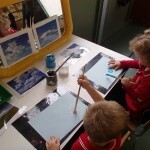 We have made rain pictures with droplets of coloured rain and made clouds from cotton wool and stuffing. 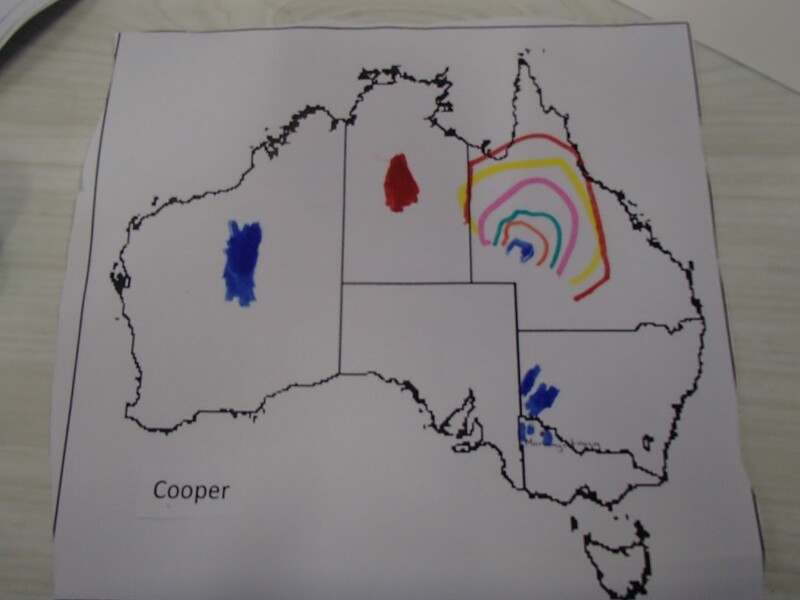 Google images gave us some good examples of different sorts of clouds and I have include this in the post for families information. Clouds. Families might also like to visit the web site www.weatherwizkids.com/weather-clouds.htm. 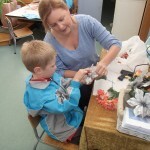 The information on this site will help you answer all your children’s questions.